Prior to forming Byrne & Nixon LLP, Dan served for over four years as an Assistant United States Attorney, Criminal Division, in the Central District of California. During his tenure in the U.S. Attorney’s Office, Dan prosecuted a wide variety of white collar criminal matters, including health care fraud, defense contractor fraud, tax fraud, mail fraud, student loan fraud, and customs violations. He also served as the Office’s Department of Defense coordinator, where he assisted a variety of federal agencies in the prosecution of defense contractor fraud cases. Dan also served on the Office’s Death Penalty committee, where recommendations were made to the United States Attorney regarding whether the death penalty should be sought against defendants eligible for capital punishment in the Central District of California. Before joining the U.S. Attorney’s Office, Dan served for over ten years as a Deputy District Attorney in the Los Angeles County District Attorney’s Office. During his first six years in the Office, Dan tried dozens of jury trials in Superior Courts throughout Los Angeles County. Among the charges in the cases Dan tried included murder, attempted murder, vehicular manslaughter, kidnapping, robbery, burglary, assaults with deadly weapons and offense involving driving while intoxicated or under the influence of drugs. For the next three years in the District Attorney’s Office, Dan worked in what was then known as the Special Investigations Division, where he prosecuted public corruption and election fraud cases. Among the notable investigations Dan headed in the Special Investigations Division, was an investigation into corruption by employees of the Inglewood Unified School District. As a result of the investigation, several school district employees were convicted and imprisoned for theft of school district funds. Dan’s final year in the District Attorney’s Office was spent as a Special Assistant to the Assistant District Attorney. There he worked closely with the Assistant District Attorney and members of the Office’s Special Circumstances Committee in evaluating whether the death penalty should be sought in cases where those accused were eligible for the death penalty under California law. Dan received his Juris Doctor degree from Southwestern University Law School in 1986, and his Bachelor of Arts degree from the University of California, Los Angeles in 1982. He served as a judicial extern to the Honorable Edward Rafeedie, United States District Court, Central District of California in 1985. 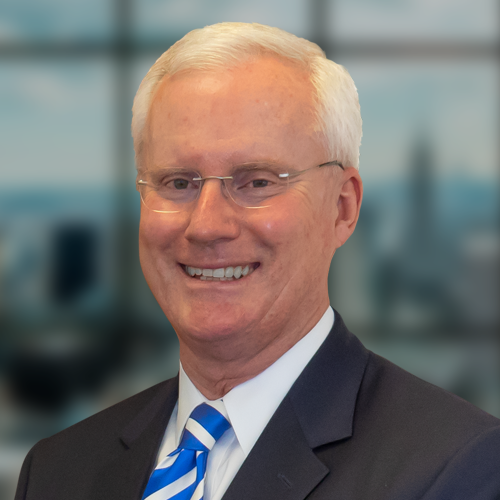 Dan is active in professional organizations including the American Business Trial Lawyers Association, and the American Bar Association (Criminal Justice Section and White Collar Crime Committee). We are former federal and state prosecutors with significant experience and excellent reputations in the criminal / regulatory arenas. Regulatory Investigations and Enforcement Actions – SEC, FDIC, FINRA, etc. The small size of our Firm enables us to interact directly with clients and immerse ourselves personally in our cases. We get to know our clients and understand their needs and goals.